These are my favorite lotions, balms and other feel good on the body stuff! I have tried hundreds of these over the years and these are the ones that rise to the top. If you have a favorite let me know and maybe it will end up here. If you are in the Seattle area, stop by Zenith Supply in the U District and check out there impressive assortment of lotions, essential oils and more. They have something like 40 lotions and oils that you can sample for free. 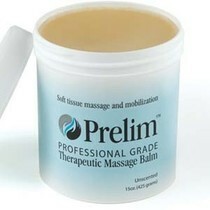 Prelim™ Balm creates surface friction for massaging large areas. Contains carnauba, coconut oil and lanolin for moisturizing. Special formula creates surface friction so that large areas or muscle groups can be massaged without frequent re-application. I use this as the base for nearly every massage lotion or rub that I create. Just mix it with the essential oils or other extras that you love. It is the perfect ingredient for a fantastic lomi based massage! This oil is wonderful! An aromatic body treatment oil, ideal for massage, bath therapy and deluxe skin conditioning. This soothing, multifunctional blend combines advanced Silicones for skin smoothing with calming essential oils of Sandalwood, Lavender, Orange and Clary Sage. Naturally-purifying extracts of Tea Tree, Lemon, and Ylang-Ylang help to counteract the negative mental effects of stress for the ultimate in relaxation. Formulated without artificial fragrances and colors. I use it along with my Prelim Balm when I am working on the neck and shoulders, and by itself on my client's face and scalp. It is very aromatic and has a very silky feel. I tried well over a dozen warming lotions and eucalyptus based rubs before finding this wonderful and HOT aloe based massage rub. It gives extra heat for the sore, tired muscles. Fabulous for sports massage because the added pepper gives you the warmth you need to help that muscle relax plus the bonus benefits of Eucalyptus! I use this for my client's feet at the very end of the massage (You can't really touch anything else after you use it, especially your eyes :-). I apply a generous amount and wrap their feet in a hot, damp towel for about 5 minutes while I work on their calves. Then I very gently unwrap their feet and then give them a lot of personal attention! PS - Make sure you try a small amount and let it set for about 3 to 5 minutes before applying more, it really is pretty hot. PSS - I mean it is really, really hot!